Alpha Sigma Alpha offers five service grants for members to participate in professional development opportunities at the S. June Smith Center in Lancaster, PA for a week over spring break. In 2018, I was lucky enough to be select as one of these grant recipients. I did not know it at the time, but I was in for the experience of a lifetime that helped me grow professionally, personally and allowed me to leave an impact on the city of Lancaster through my service at the S. June Smith Center. 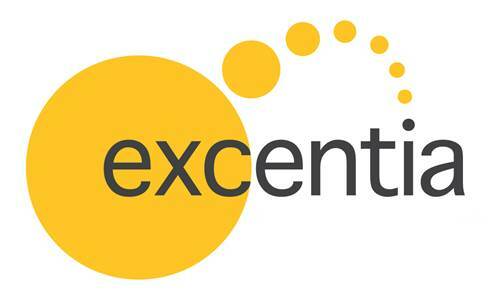 Upon arriving in Lancaster, we were welcomed by staff from Excentia. Excentia is an organization that provides lifelong care for individuals with developmental disabilities, and the S. June Smith Center is their early childhood sector. The Excentia staff had spent a lot of time planning and scheduling our visit activities to best fit with what we wanted to gain from the experience. On the first day of our visit, the three of us met with a variety of administrative staff members who played a wide range of roles for Excentia including human resources personnel, program coordinators, finance managers and even the CEO. This gave us the opportunity to explore what roles best fit our professional interests and was a valuable networking experience. The remainder of our time that week was spent observing facility operations and collaborating on special projects with Excentia’s advancement team. While our focus was on the S. June Smith Center, we had the opportunity to tour all of the sectors that Excentia has and we were able to observe the programming and care given to individuals of all ages, including music/art therapy, sensory based activities, in-home direct support care and classroom experiences. We also had the opportunity to assist Excentia staff with planning their annual Flamingle fundraiser in support of the S. June Smith Center. Throughout the week, we worked on event planning details, community-based donation collection and marketing the event. Much of our time on this project was spent directly impacting the surrounding and beautiful community in Lancaster. The staff took us to dozens of local businesses to inquire about donations to the Flamingle Fundraiser. The community collaboration and support was incomparable to anything I had seen before. Lancaster is so supportive of Excentia because of how valuable they are to the community and the good that they do for the individuals that they serve. We also met with several women from nearby Alpha Sigma Alpha collegiate and alumnae chapters to network and tour the city. At the time, I was a junior in college and had not had many professional experiences. Having the opportunity for open conversations with Excentia’s staff about what they were doing at my age to get to where they are now was such a valuable and integral part in my approach to future internship and job searches. Every staff member at Excentia was willing to go above and beyond to support us professionally not only that week, but they have stayed connected and supported me through other endeavors. I had always had a soft heart and passion for those who have developmental disabilities and my time with Excentia further confirmed that passion. Every staff member at Excentia resonated with their mission of “striving to provide those supports necessary to enable people with developmental needs to live as independently and fully as they desire within the community.” I will continue to advocate for those individuals in the same spirit that Excentia left with me that week. I would recommend this once in a lifetime experience a thousand times over to any Alpha Sigma Alpha woman. The professional experience I gained, relationships I formed, growth I experienced, generosity I felt and memories I made with the other service grant recipients is something I will always hold close to my heart. As Alpha Sigma Alpha women, we regularly contribute and support the S. June Smith Center for so many reasons and I hope that someday you will experience firsthand all of the reasons we continue to support this amazing organization. Apply today for the S. June Smith Center Service grant.